The release date for upcoming feature film Lancaster Skies has finally been announced. 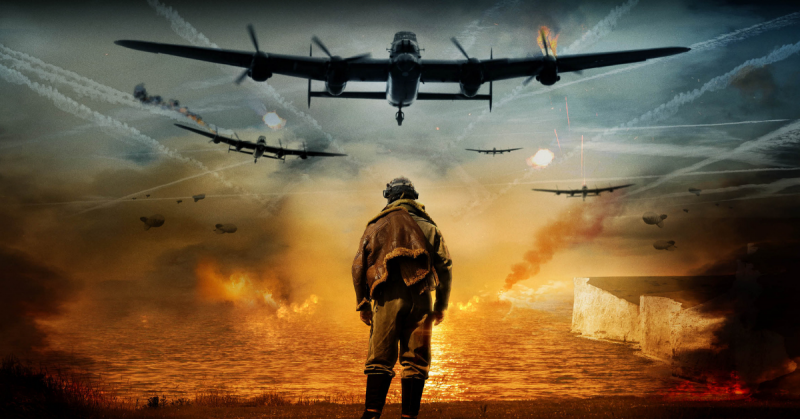 On February 27th, UK audiences will be able to watch the incredible story of the Bomber Command aircrews who paid such a heavy price in the aerial war fought over occupied Europe during World War Two. ‘Lancaster Skies’ is the first feature from a small and dedicated group of film makers working under the banner of Tin Hat Productions. The film tells the story of Flight Lieutenant Douglas Miller, a former solitary Spitfire ace and a veteran of the Battle of Britain. After the tragic death of his younger brother, Miller transfers to Bomber Command. After arriving at his new Squadron, Miller’s single minded determination to wage war at any cost puts him into conflict with the bomber crew under his command, who are struggling to come to terms with the death of their much loved skipper on an earlier sortie. In the days leading up to a perilous mission over Berlin, Miller must overcome his past and become the leader that his troubled crew so desperately need. Photo: Tin Hat Productions LTD.
‘Lancaster Skies’ is the feature film directing debut of MET Film School graduate Callum Burn (26). The production team, which includes Callum’s father Andrew Burn (53) and fellow MET Cinematography graduate Sam Parsons (29), set out to produce a film that had the look and feel of the classic British war films of the 1940’s and 50’s. Callum and the production team are delighted that audiences will finally get to see their film. The aim of the film is to tell the incredible story of the war time RAF Bomber crews to audiences who currently know little of the ordeals they faced night after night. Of the 125,000 aircrew who flew with Bomber Command during WW2, more than 55,000 lost their lives. Bomber Command was the most dangerous branch of any of the armed forces to serve in combat operations during the war, with a 44% mortality rate. The team at Tin Hat believe that in order to inform it is also vitally important that a film maker sets out to entertain. Director, Callum Burn, determined to make a film about Bomber Command after a RAF Hercules transport plane flew low overhead during filming on location for his first war film ‘Fusilier’ back in 2012. The first draft of the screenplay was penned early in 2013 and underwent multiple rewrites prior to the commencement of pre-production in the Summer of 2014. With a budget of just £80,000 ‘Lancaster Skies’ was filmed in 5 separate shooting blocks, starting in Feb 2015 and ending in April 2017. The periods between were spent fund raising and building sets and sourcing props and costume. ‘Technically the film was very difficult to make which, in conjunction with the very limited budget, necessitated a great deal of creative thinking and problem solving. We had to build multiple sets in a disused milking shed near our home in Sleaford. We built an entire pub (nicknamed ‘The Dusty Jug’ by cast and crew) and all of the corridors and offices on the airbase. There was also a significant amount of filming on location in Lincolnshire and Cambridgeshire. The longest location shoot took place at East Kirkby Aviation Heritage Centre in October 2016. Post production took over a year. This was largely due to the large number of visual effects needed for the aerial combat scenes. In the spirit of classic war films of yesteryear the Tin Hat team decided that they wanted to use scale models for these sequences. Advance tickets for Lancaster Skies went on sale at the end of December 2018. Tickets are available through the Savoy Cinema chains, as well as number of independent cinemas across the UK. 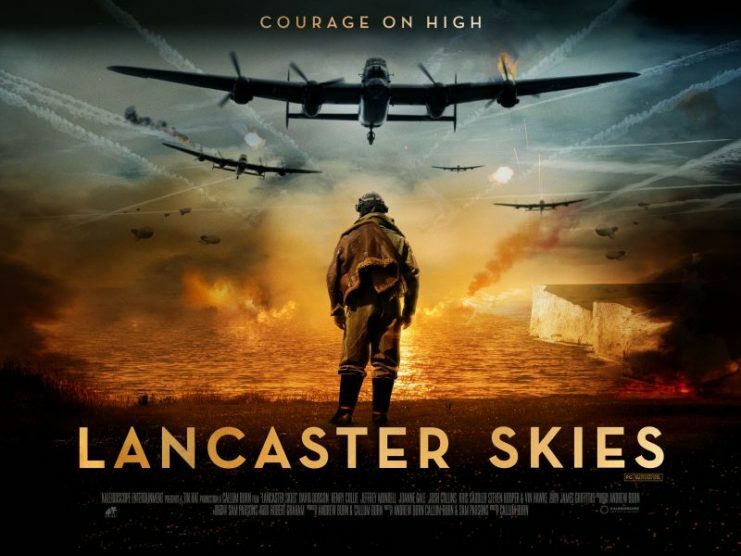 For independent cinema locations and times you are advised to visit www.lancasterskies.com.